Once again, the country was hit by a calamity and that tested again the Filipino people's endurance and proven that Filipino spirit is indeed waterproof. 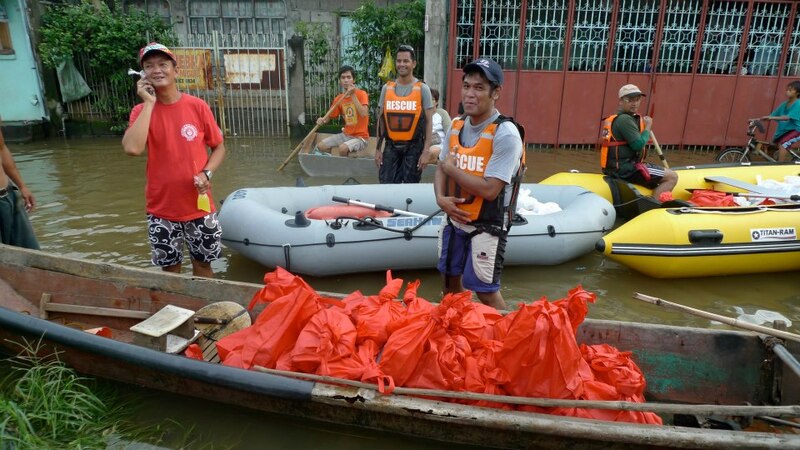 It was an intense 8-day raining period and much of Metro Manila was flooded. It was a sad but familiar site for most. We all needed to act. The Mountaineering Federation of the Philippines mobilized its huge network and organized a relief effort together with several mountaineering groups, including Trails to Empower Kids and For the Road, a watering hole in Pioneer owned and frequented by mountaineers. All it took was one call for help posted on facebook and mountaineers flocked to For the Road to bring their donations and help in the repacking. TREK donors and volunteers and donors were of course there to help. I always say to friends that one thing I am happy about with this sport that I chose is that mountaineers are really good and dependable people. That day, I was proud to be one because mountaineers are heroes. It was a two-day effort. The first day was devoted to repacking at For the Road. 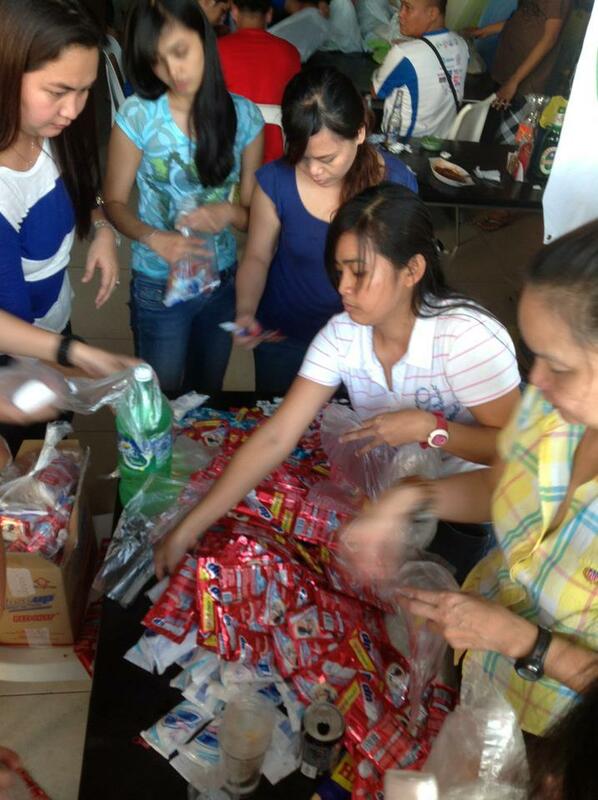 A select group was chosen to deliver the goods the following day to Rizal, which was still flooded. I joined the group and I saw how needed those relief goods were. Good thing wee had rubber boats ready to deliver the goods. It took us the whole day to finish. Another group, led by Outdoor Addicts and Aduana Mountaineers went to the evacuation sites and distributed hot meals and organized some games to bring some light into their situation. 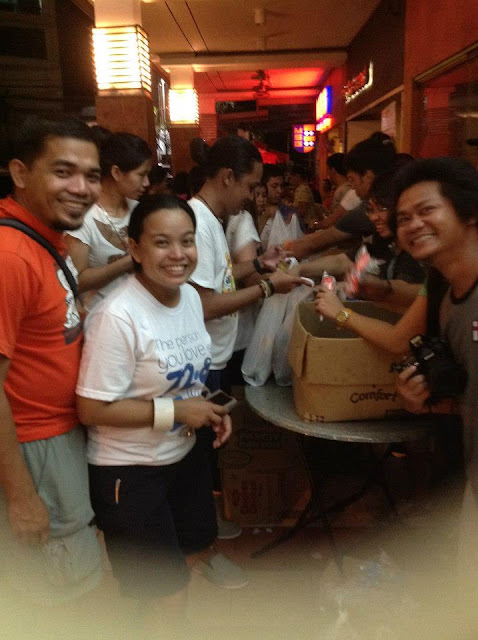 After the relief distribution, the group had dinner and each one shared their experience. All of us were thankful for the opportunity to serve.